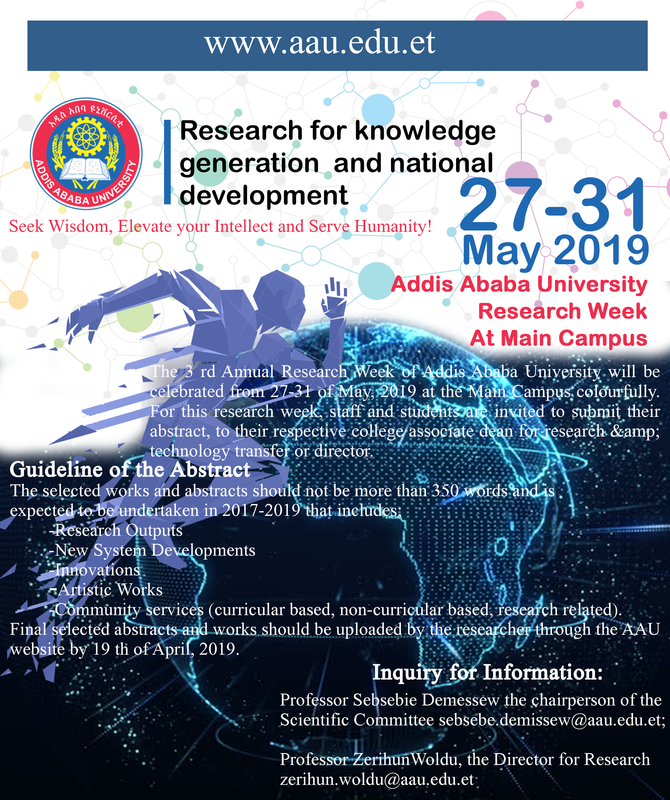 The 3rd Annual Research Week of Addis Ababa University will be celebrated from 27-31 of May, 2019 at the Main Campus colourfully. For this research week, staff and students are invited to submit their abstract, to their respective college associate dean for research & technology transfer or director. Community services (curricular based, non-curricular based, research related). 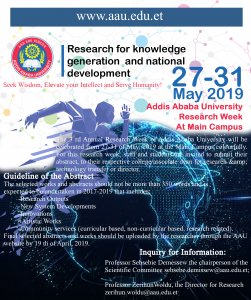 Final selected abstracts and works should be uploaded by the researcher through the AAU website by 19th of April, 2019.